​"Singing in the town" - shanties and seasongs in the centre of Mariehamn. Shanty acts perform at Albin-stage (dockside), ÅSS Paviljongen, Nautical and Park. Cruise with the s/y Albanus, shanty performances on board, tickets 25 €. Limited amount of tickets available. Tickets available through pre-purchase here or on the Albanus. Concert Leaflet 15,- at the entrance. Cruise with the s/y Albanus, shanty performances on board, tickets 25 €. Limited amount of tickets available. Tickets available through pre-purchase here or ​ on the Albanus. Cruise with the t/s Constantia, shanty performances on board, tickets 25 €.  ​Shanty acts perform at Albin-stage (dockside), ÅSS Paviljongen, Nautical and Park. Sailing for beginners, with teacher from the Åland Yacht Club (10,-). "The saltiest seasongs" - sing along at Badhuspaviljongen. 20.00 Geta kyrka: "Across the Baltic Sea" - concert with Naiskoor Domina, Estonia. Concert Leaflet 15,- at the entrance. Cruise with the s/y Albanus, shanty performances on board, tickets 25 €. Limited amount of tickets available. Tickets available through pre-purchase here or ​on the Albanus. Man at the Steering Wheel Commemoration - a ceremony to commemorate the seafarers who lost their lives at sea. ​Stormskärs värdshus, Simskäla, Vårdö: "Det var en afton då stormen ven" - concert with Ashore for a Loaf, Ireland.